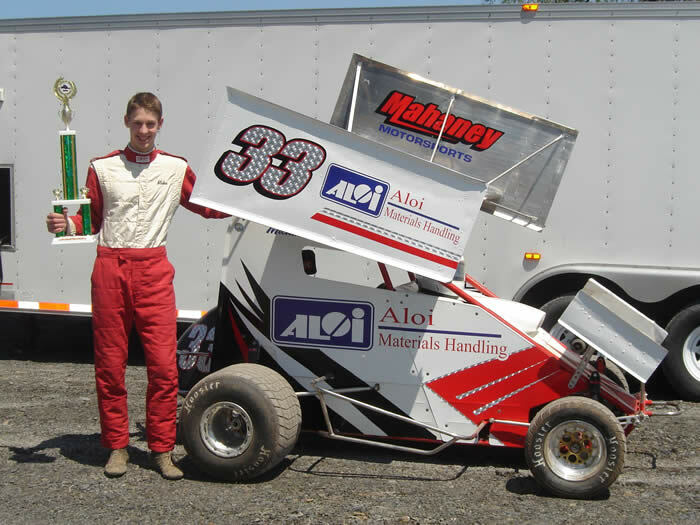 Parker Evans on the gas and to his third win in a row at Wyalusing Speedway. 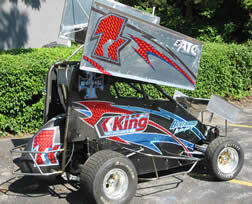 Parker has had a hot hand everwhere sinse PA speedweeks. Besides Wyalusing he won the NYMM Series race at Thunder Mountain last weekend. Two weeks ago at Greenwood Valley he finished third and this last Saturday came from eleventh to second. Great job Parker!!!!! Can you say forward bite!!!!!!!!! Mike Mahaney after his featue win at Paradise Speedway. 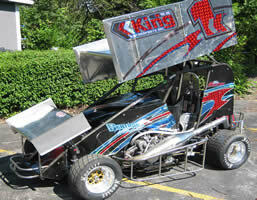 It was his first night in his new King 600.
in his Dirt Sportsman. Good job!!! Dale Arnold with his dad Deon after winning the Friday night feature at County Line Speedway in North Carolina March 2. Dale was strong all weekend finishing eighth on Saturday with a weak engine. We are very lucky to have you and your family as friends and customers. Good luck the rest of the year. Hope you can't sell the car, HA!!! 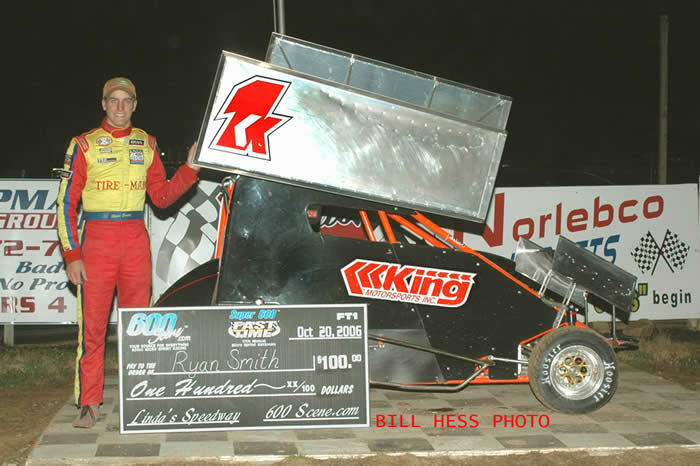 Congrats and a big Thank You to Ryan Smith who set fast time at Linda's National Open in the King Chassis house car. 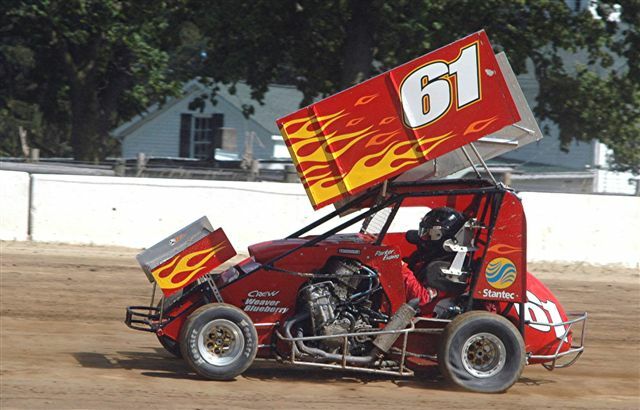 This was the first time Ryan ever sat in the seat of a 600cc Micro Sprint. It was also done with a stock 06 636 Kawasaki on gas (not alcohol) with stock injection and airbox. Notice the stock airbox with S&S Headers. You can't be fast for less money. front torsion rear w/ front sway bar. depending on the size of the track your racing. is like no other and performs extremely well on dry slick tight corner tracks. off the corners it's all in the combination and the set up. New for 07 we have eliminated the need for a chain tensioner to free up the chassis. 15 lbs. to 100 lbs of gas pressure with each corner different. Our new car has been track tested with and without a wing to great success. 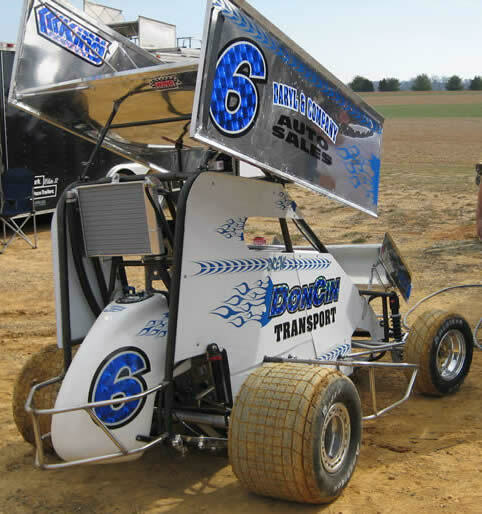 The frame design is also the closest your going to find to a full size sprint car. The set up is so simple all you have to do is move the RR, air pressure and wing. We have also built a car with more driver room than any other for those big guys! As of 9/5/06 we have four of these new cars going to the midwest. No other 600 chassis has more driver room!!!!!!!! 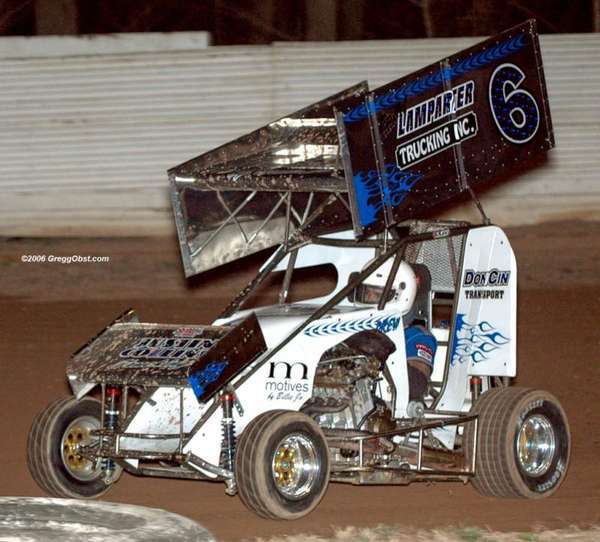 Congratulations to Brian Marriott on his win at the Middleford Nationals in the 270 class for the second year in a row. Obviously Brian has the place figured out. 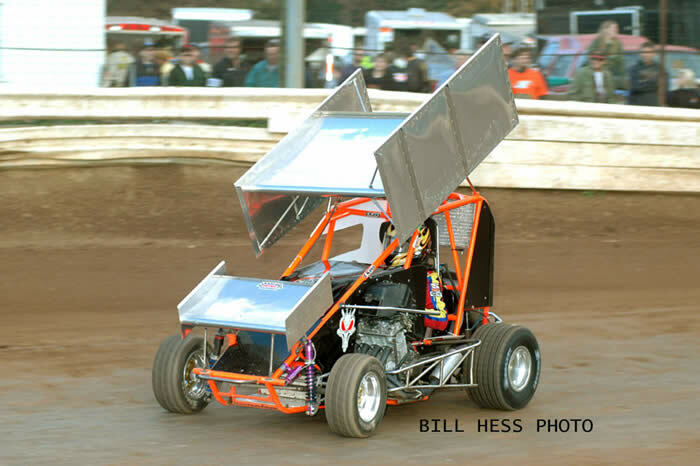 Also congrats to Sammy Casella on his Friday night preliminary feature win and the Points Championship at Bridgport Speedway in the 600 Open class. 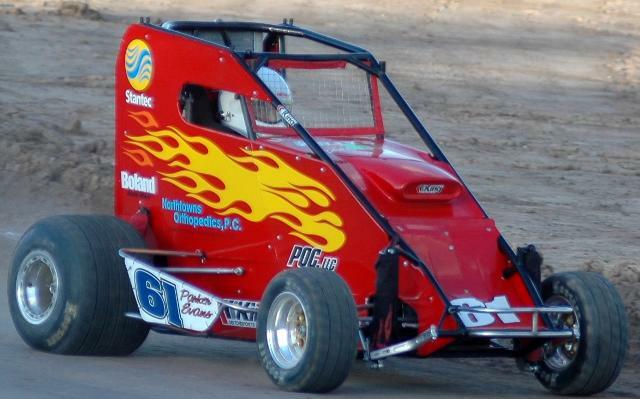 Parker has two feature wins this year at Paradise Speedway as a rookie in the 600 wingless class. At age 14 we expect alot more from this new young talent. Now you can buy a 600 frame and put your 270 engine on it! We have adapted the 600 chassis to allow for the 270 engine. When it's time to move up to the 600 class all you do is change engines. This car weighs the same as the leading 270 chassis run by most. 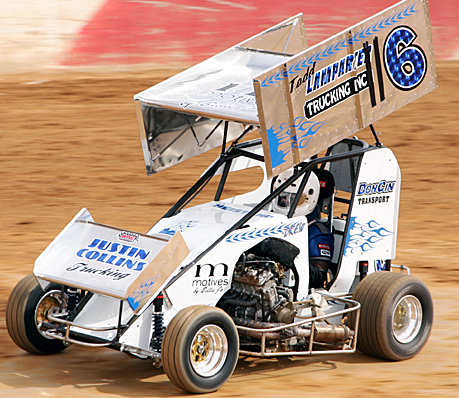 We would like to congratulate Drew Heistand on his outstanding performance at the Super 600 Showdown at Hill Valley Speedway July 2nd, 2005. His King Motorsports 600cc lead 42 of the 50 lap race, but unfortunately his engine blew up with only eight laps to go. 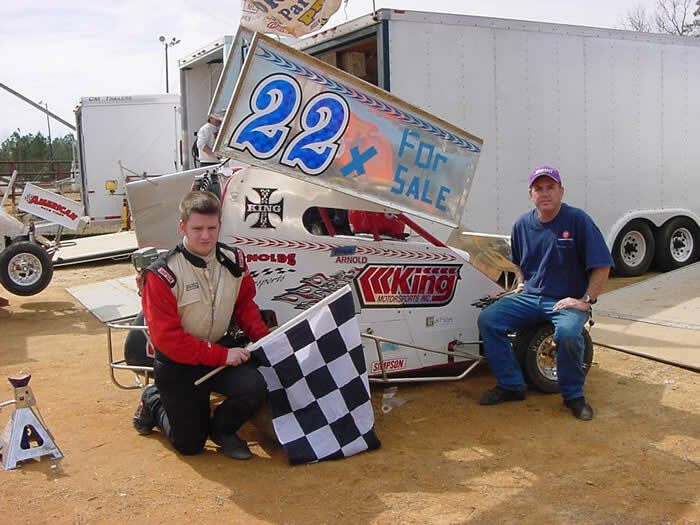 He began the race on the pole by way of adding up the most passing points in all the heat races, and was on his way to the win, but after his motor blew, Donnie Hendershot took the lead, the victory, and the $10,000 winner’s purse. Congrats Donnie! We also want to congratulate Drew for his win the night before at Linda’s Speedway, and his brother Dusty for his 3rd place finish at the Super 600 Showdown. We have updated and designed our website to help serve you better. You can now view our parts catalog online and get race results from both 250cc and 600cc classes. Soon you will be able to check out links to driver web pages and other racing sites. Thank you for your patience while we continue to add to our website. We hope you enjoy the new and improved site. If you have any questions, concerns, or suggestions, please click on our contact page for our phone number, e-mail, and address. Enjoy your visit!